Our company holds immense experience in this domain and is involved in manufacturing, supplying, wholesaling and trading a wide assortment of Solar PCU to our customers. This Solar PCU has rugged and compact design. Banking on the skills of our qualified team of professionals, we are instrumental in offering supreme quality range of Solar PCU. Multi-setting: PV priority mode or AC priority mode. 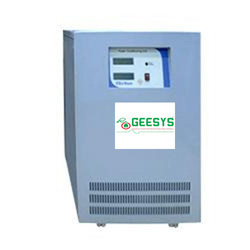 The system can track the Mains phase automatically, and make sure the inverter output voltage is the completely same as the Mains voltage.